Techno-labo has not been making fashionable household items or everyday necessities. For design reference, we would like to introduce one of previous products. We are using smartphone cases to protect damages from drops and scratches. It is usually designed to cover entire back body. Re-considering what causes we would like to protect smartphones from, we can propose new shapes. 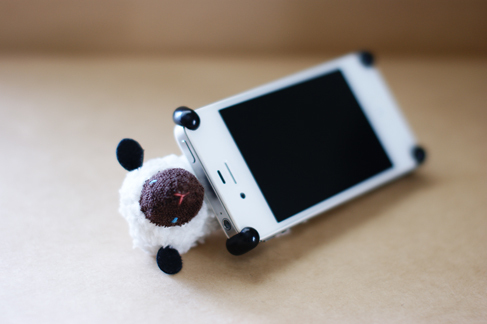 We made this product to protect smartphones from impact of drops. 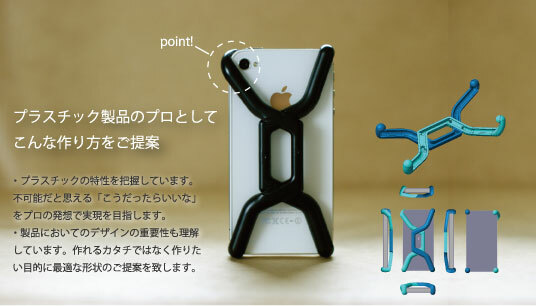 The case always touches the ground first and the body of smartphone will not be damaged. 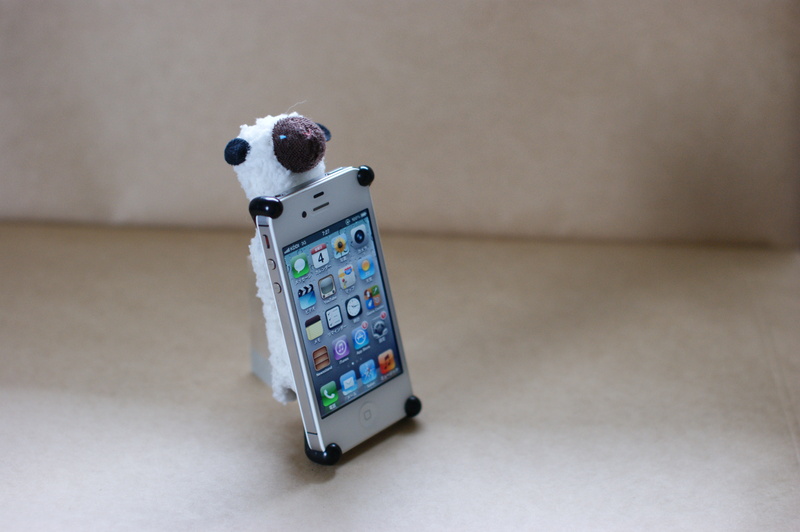 It consists of minimum numbers of parts so that the case does not conceal design of iPhone. Smartphone cases tend to disfigure design of smartphones. 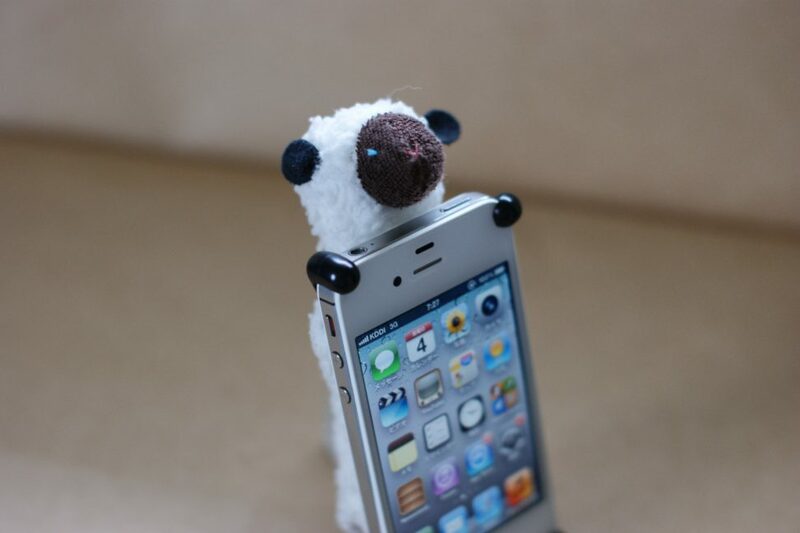 We look on the bright side of attaching the case and use stuffed animal of cell phone straps as a cover. Stiffness of plastic enable us to design detachable shape.